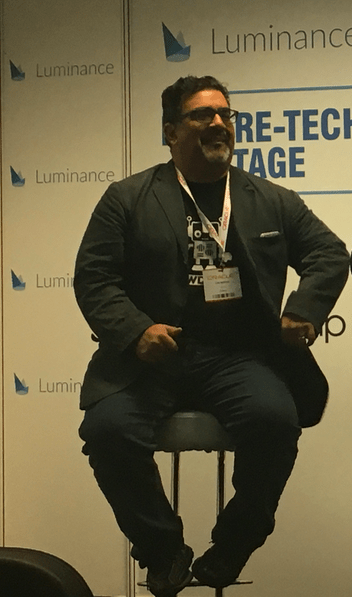 Earlier this week Artificial Lawyer attended the British Legal Technology Forum (BLTF). It was a major event at Old Billingsgate in the City of London and was packed to the rafters with delegates and exhibitors. There were multiple stages and many, many speakers (some good friends from the US were also there) and of course there were several sessions that involved the always reliable Richard Susskind (pictured above). So, what were the key themes that stood out, to Artificial Lawyer at least? After all, a good legal tech event needs a good theme or two to pull it all together. What were the BLTF’s key themes? The answer is: collaboration and leadership. 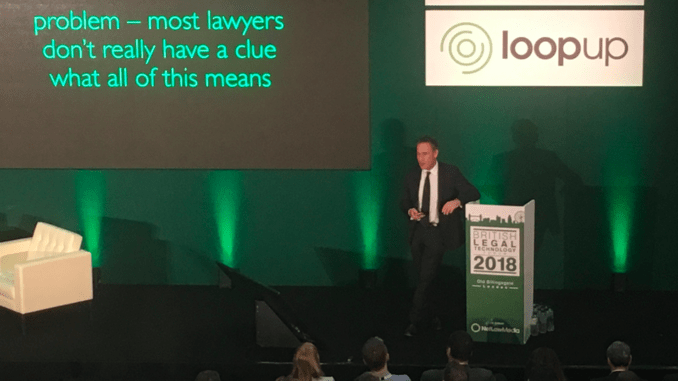 First, the theme of leadership, which was best exemplified by Kevin Gold, the long time managing partner of upwardly mobile UK law firm, Mishcon de Reya. Gold started off by saying he knew very little about technology, then began to talk about the early days of telephony when he was growing up in a small mining town in South Africa. Then we moved onto faxes and other tech which today is not really seen as tech any longer. Some in the audience no doubt wondered where we were going with all of this. But the thread was clear: technology keeps moving onwards, what seemed exciting one year is soon just absorbed into the background. 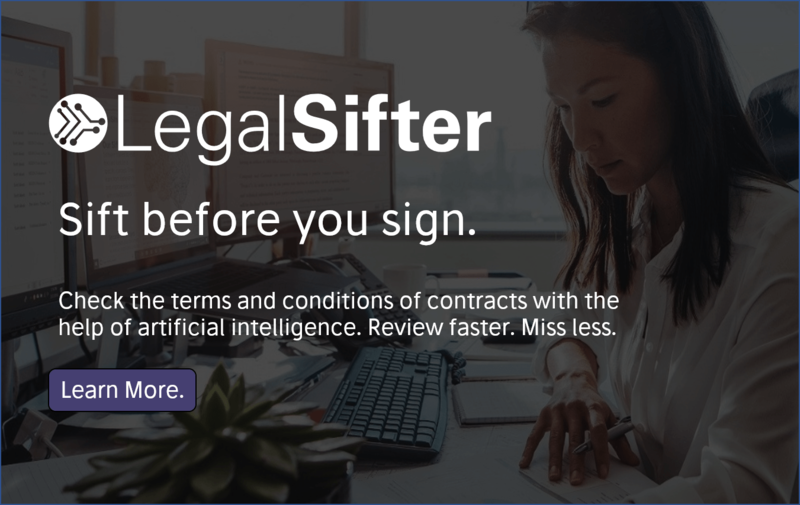 The audience may not have been sure this was Earth-shattering news, but personally this struck Artificial Lawyer as a beautifully clear way of underlining the importance of what is happening now with the new wave of legal technology, i.e. technology that performs legal work. That is to say, if we thought phones were wild and new once upon a time, and then this became seen as just part of daily life, then soon enough having multiple types of machine learning systems that automate legal labour will also become normal. One might say that history repeats itself. The question then turns to leadership, or whether or not the management of a law firm is prepared to engage with the matter in hand: transformative technology. Gold didn’t say it, but the writing is on the wall: senior lawyers who try and dodge this one are leaving their firms in a tricky spot. It’s great to hear Gold say this as this insight is not shared by all managing partners in law firms. Gold then made another observation that is 100% critical to real change and innovation in law firms. ‘Technology cannot be left to the IT team or innovation head, it’s too important. It’s a constant project,’ he stated. And so we return to leadership. Now, the key point here is that Gold is very open about the fact that he is no expert on technology. But that doesn’t matter. What has mattered is that he clearly understands, from first hand experience, that technology is transformative, always in progress and needs to be embraced. Mishcon has done some great stuff recently, such as its MDR LAB incubator, run by the ever-energetic Nick West. But, let’s face facts, if Gold and his fellow partners at the top table had not really supported the LAB, then it would likely have had little impact. Lawyers at the firm likely would not have got involved and helped to mentor the start-ups, or learn about the technology on show either. It would have been a nice PR exercise, but not impactful. But the opposite happened. Mischon has invested in two of the start-ups, its lawyers say they felt energised by the programme and learnt a lot about legal tech, and now they’re moving onto the second programme. OK, so incubators that see lots of lawyer buy-in are not the only sign of innovation. But, it’s indicative of a law firm whose leadership has got behind change and the new wave of legal tech. This is because we cannot escape the basic business reality that: law firms are owned by the equity partners and the owners of a business always set its goals. A last word on leadership. Gold was not dismissive of IT and innovation teams (far from it), it was just that they could not own all of the problem, nor provide all of the solution. After all, a law firm is about client service and that service, for the most part is delivered by its lawyers. Leave them out of the equation and nothing changes. In short, lawyers need to lead a law firm’s technology strategy in setting overall goals, but it’s the IT team that should do what they are best at: decide which of the applications is best to meet the strategic needs of the partnership. I.e. it’s a group effort. Collaboration is the other key theme. This came up, presumably without any co-ordination from the speakers and exhibitors beforehand, again and again. 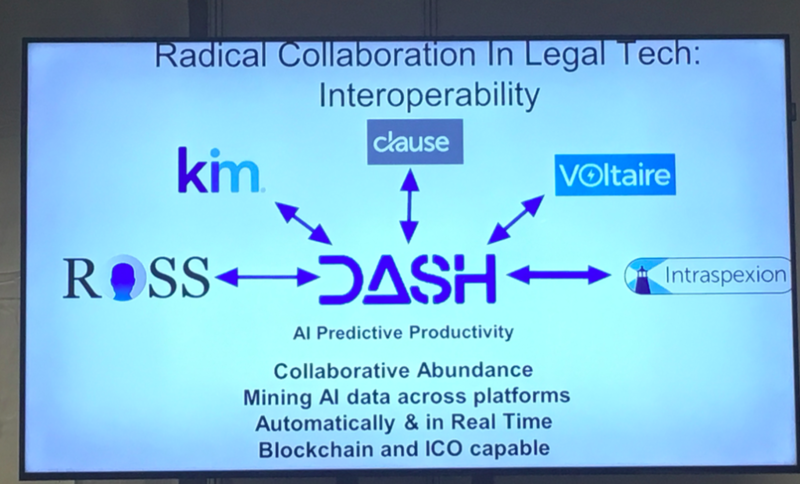 A case in point was the presentation by Larry Bridgesmith, Founder and CEO of legal tech company, Dash, which is ‘the world’s first interoperable, AI-powered platform for aligning people, projects, and processes for optimum results’. He is also Adjunct Professor, Program on Law & Innovation Coordinator, at the Vanderbilt Law School. Bridgesmith covered a lot of great territory in his speech about the exponential changes in legal technology in recent years and where we are headed. But, the key idea was exemplified by Dash, which is now in beta, and is designed to help connect the many machine learning, data analysis and blockchain applications that are now emerging, all together. That is to say, law firms cannot build the future alone, they’ll need to work with clients’ inhouse teams, operations teams and executives who are not in the legal team. They’ll need to work together with LPOs and ALSPs. They’ll also need to work hand in hand with start-ups with new and untried technology, as well as the tech giants now showing great interest in the legal sector such as IBM and Microsoft. Another great case in point was the session on legal bots that featured Tom Martin, founder of LawDroid, and Gary Gallen, founder of Rradar and its Grace legal bot application. Martin, for example, is working with the Tennessee Alliance for Legal Services in partnership with West Tennessee Legal Services, and supported by the Legal Services Corporation in the US, to build a voice-driven legal bot to provide useful legal information to people who normally cannot afford a lawyer. It’s a joint effort. It’s also a project that once completed is totally scalable and could potentially see other states and other legal aid bodies get involved to help it to spread. 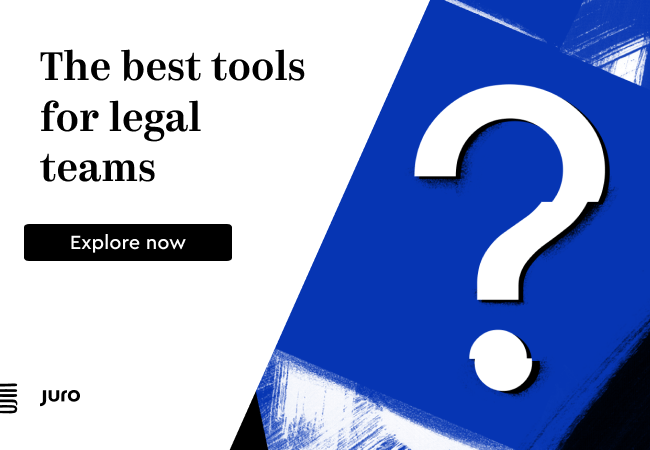 And perhaps maybe one day even the Department of Justice will see this – and other A2J Tech applications – as a way of reducing its access to justice dilemma and at a relatively low cost too? In short, it’s all very well talking about legal tech, but if multiple stakeholders don’t get actively involved and prepared to take risks, test out new tech and make a commitment for real change, then nothing happens. You can see this also in AI companies such as Kira Systems, which has made a significant strategic effort to link with different companies to provide a better overall service, from working with Neota Logic, to NetDocuments, to an array of ALSPs. And, in one of the last sessions of the day, Jeremy Barton, GC of KPMG, added: ‘We need interoperability in legal tech and we can apply that idea to other parts of the ecosystem.’ I.e. co-operation and collaboration between tech applications and those that make use of that technology. So, to sum up the above: legal technology is too important to leave to any one group. The new wave of legal tech doesn’t belong to IT people, innovation heads or law firms as a whole, nor GCs or even the tech companies. It’s a shared ecosystem of interests, often creating synergies, sometimes creating friction, but always better when different parts of that ecosystem come together, collaborate and learn from one another. Which is why legal tech conferences are so useful, as they provide that forum to bring people together. And that’s a great message to end on. 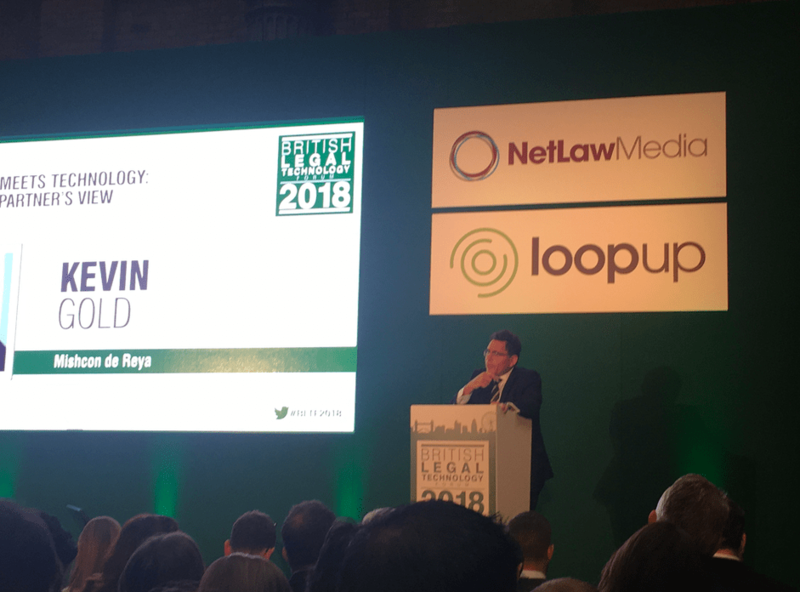 Thanks very much to Frances Armstrong, of NetLaw Media, for inviting Artificial Lawyer along to the British Legal Technology Forum. Looking forward to next year’s forum!